These attractive glass plaque awards feature an asymetric 'Autumn Leaf' design with thick bevelled edges. 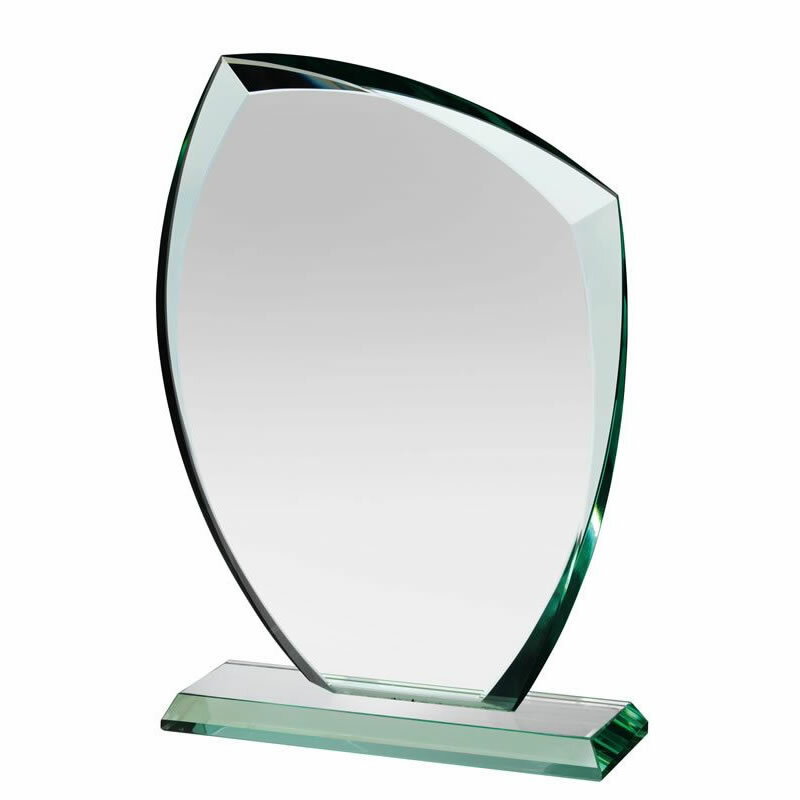 The 12mm thick flat plaque provides a large area for engraving of event or achievement details to create a personalised award or trophy. These plaques are hugely popular as corporate awards and are offered with text and/or logo engraving options. They are supplied presentation boxed. 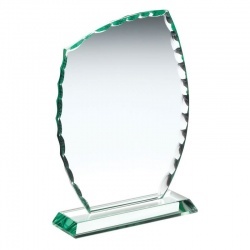 Jade Glass Awards Plaque with Chipped Edges, Asymmetric Design. 3 sizes.